In an effort to rid Cuba of political dissidents, Fidel Castro announced in September 1965 that he would allow any Cuban who had relatives in the U.S. to leave the island through the port of Camarioca. Nearly 5,000 Cubans traversed the waters between Cuba and Florida in the next two months in what came to be known as the Camarioca Boatlift. Gort Photo Studio, “U.S. 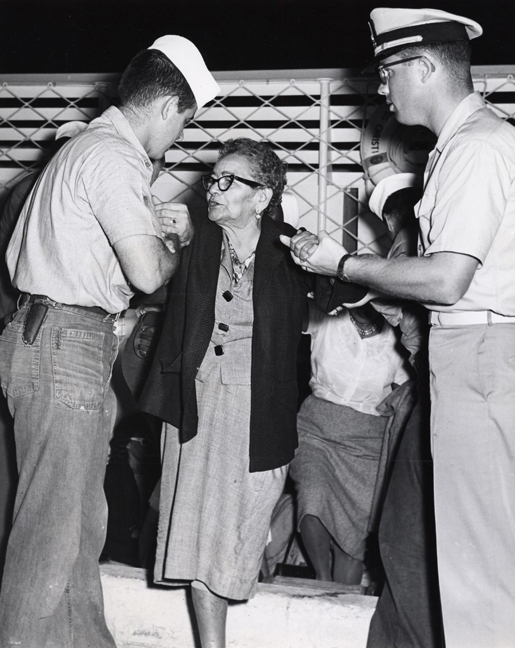 Coast Guard crewmen aid a refugee during the 1965 Camarioca Boatlift,” UM Libraries Digital Exhibits, accessed April 22, 2019, http://scholar.library.miami.edu/digital/items/show/230.